Today the developers of ?WAV To MP3 Premium Software has started the free Giveaway. If you download and install it before 2012 Feb 5th, WAV To MP3 Premium Software Worth 29.95 USD is for free for all users. Once users download and install the giveaway version of WAV To MP3 Premium Software during the giveaway period, they will be able to use the converter for lifetime with 100% full functions. The main purpose of WAV To MP3 Premium Software is converting lossless WAV audio files to MP3 music for popular movable audio devices like iPod and to save a lot of disk space. 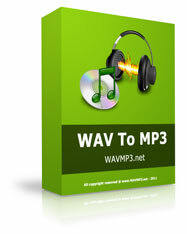 WAV To MP3 Premium Software is a Windows application designed to convert WAV sound files to MP3 audio fast and easily. WAV To MP3 Premium Software users are able to convert recorded wav sound files to MP3 for iPod or MP3 Player. Besides WAV to MP3 conversion, WAV To MP3 Premium Software also supports to convert WAV to FLAC format for audiophiles. Duration: This giveaway will be closed on Feb 5th, 2012. You can download WAV To MP3 Premium Software from their website by clicking here. Simply register your?WAV To MP3 Premium Software with your email and the above provided key. This key will not work?to register WAV To MP3 software after Feb 5th, 2012. This Article Has Been Shared 4096 Times! Cite this article as: Abhishek Ghosh, "WAV To MP3 Premium Software Worth 29.95 USD Free Giveaway," in The Customize Windows, January 12, 2012, April 18, 2019, https://thecustomizewindows.com/2012/01/wav-to-mp3-premium-software-worth-29-95-usd-free-giveaway/.